Apartamentos Olano	, Madrid, Spain. Apartments in a shopping area and excellent communications. 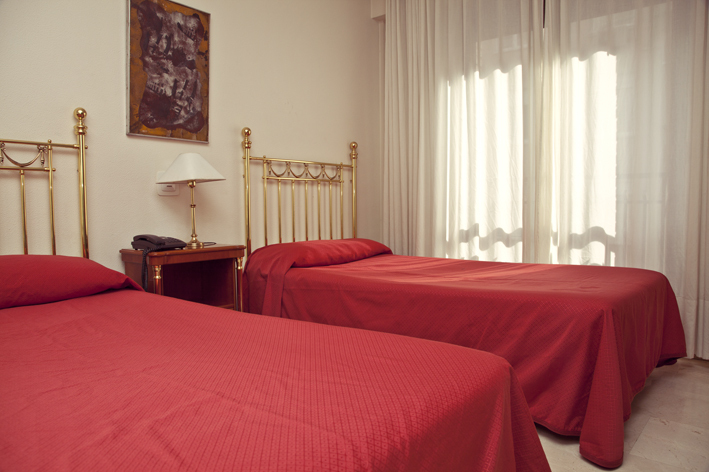 One of the most popular accommodations on the Internet are the Apartamentos Olano, located in a well-connected area of Madrid, such as in the Prosperidad neighborhood, just two steps from downtown. offering peace of mind for the rest in the capital. The apartments are ideal for long stays in Madrid, whether you come for business or vacation travel, having a neat service and excellent and comfortable facilities, fully equipped, as well as own parking and free Wi-Fi. Their location is unbeatable, close to the most visited places in the city, including the Santiago Bernabéu and the National Auditorium to which we can walk in minutes. The Prosperidad metro station, located 200 m, will let you discover, in a comfortable and easy way, the center of Madrid. In addition, public transport from the AVE and train stations Chamartín or Atocha to Prosperidad takes about 20 min. Quiet and well-connected neighborhood in a few steps from downtown. 32 Comfortable, spacious and bright apartments. Private pay parking at the same building.